Whether it is in your home or business, damp is a really nasty problem to have. If left untreated, it has the potential to cause further problems that can worsen over time. Therefore, it’s no surprise that preventing damp is a big priority for many homeowners. If you need some help protecting your property, we have put together a quick checklist of what you should consider. A common source of damp is through the roof – for instance, roof damage and factors like loose tiles can contribute to the appearance of damp in your property. 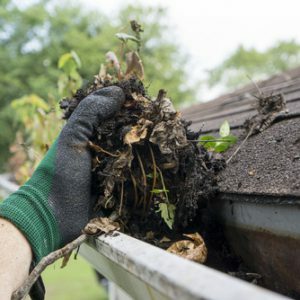 Similarly, debris-filled gutters can become blocked and cause water to back up, resulting in rainwater not being able to access your drainage system. 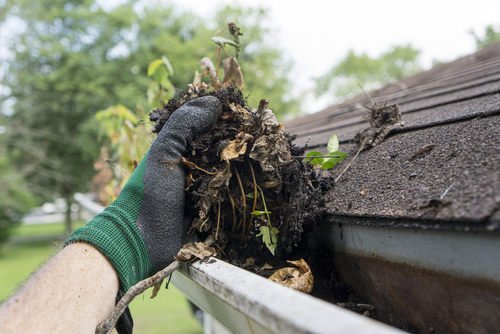 Therefore, it is a good idea to regularly clean and maintain your guttering, clearing out any leaves or debris and ensuring that water can run through smoothly. It’s also sensible to check your brickwork on a semi-regular basis as this can also cause damp if the pointing between bricks has worn away or crumbled, for example. In particular, areas like the kitchen and bathroom need to be well ventilated so having extractor fans is always a good idea. Keeping the windows open can also help to remove any excess moisture from the property, but if you go out, don’t forget to close them again! Many tumble dryers also release a lot of moisture, so try to avoid using it as much as you can – you will also be saving money on your electric bill! Similarly, if you are drying clothes in your home, the moisture will build up unless you are regularly ventilating. As soon as the weather allows, you should look to dry clothes outside on the washing line. You can now purchase smart humidifiers which measure humidity and start working when they need to. A dehumidifier can remove a lot of excess moisture from the property and is great to use in problem areas where ventilation is difficult. When you are boiling food on the hob, excess moisture is produced so where possible, you should keep the lids on your saucepans and always use an extractor fan. Once you are more aware of how much moisture you are producing, you can take the measures necessary to ventilate your kitchen during and after cooking. Although keeping the heating on can be expensive, there are ways that you can make the most of the heat in your home. For example, check that the heat from your radiators is not being blocked by large items of furniture as this isn’t effectively making the most of available space in your property. If you do think your property may be suffering from damp, it’s always best to call in the experts and get the issue rectified as soon as possible. Contact us today to get a bespoke damp proofing quote for your property.